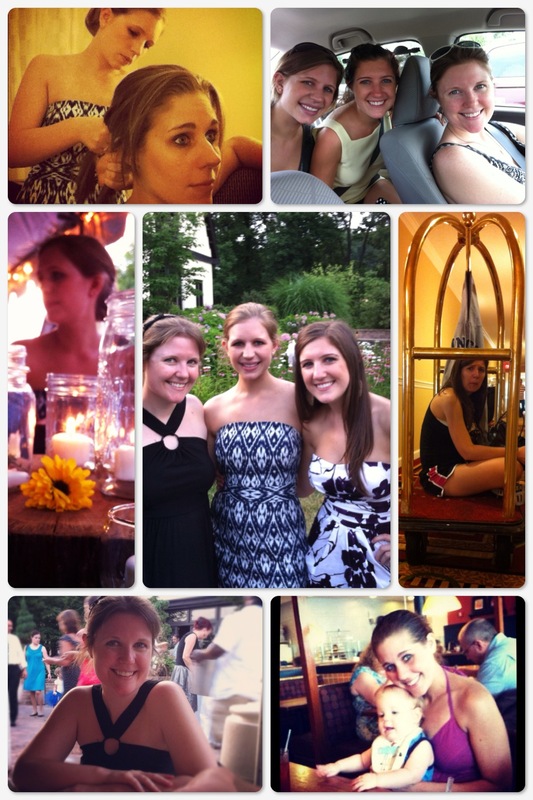 This past weekend I drove to Northern Virginia to attend the wedding of a family friend. The ceremony was beautiful (albeit very hot, it was an outdoor wedding and the temp was 103 degrees) and the reception was a good time. I always enjoy a wedding, but my favorite part about the weekend trip was getting to see all seven of my family members! This rareity only happens once a year on Thanksgiving, so to see them in July was a wonderful treat. It was also nice to attend a wedding and be able to gush about the cute decorations or the gorgeous bride’s dress with my sisters! In the past two months I have attended 5 weddings and all of them have been with my fiance, Isaac. For some reason, he doesn’t enjoy analyzing every minuscule detail of the wedding decor with me the way my sisters and mom do. Although I guess that is a good thing. I’d be worried if the man I was marrying threw a fit that the table cloths weren’t starched enough or calligraphy on the invitations was sloppy. Attending this wedding put my family and I in the mood to start knocking out more wedding planning for my own big day! Having four daughters, my dad has a definite soft side. I personally believe that having so much estrogen in his house for 26 years allowed him to develop exceptional conversational skills. By day he would talk about tanks, special operations, billion dollar budgets, terrorist threats, and weapons of mass destruction. He would then leave the Pentagon, make the long commute home, and effortlessly chat with my sisters and I about which breed of puppy is cutest, which band is better: Backstreet Boys or NSYNC, and which medicine controls PMS symptoms best. He can talk about anything. As my dad and I watched the father-daughter dance this past weekend, we both became a tad emotional. We talked about which song we should dance to on my wedding day and what type of speech he will make. All of the sudden I felt old. I know I’m not old by any means, but wasn’t it just yesterday that I was standing on his feet while he whisked me around the room? It was always my favorite way to dance with him. I ran to his hotel room and banged on the door until he answered, sleep in his eyes. 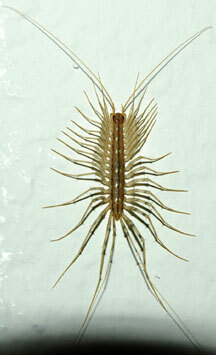 I screamed that there was a centipede in my room but I was pretty sure it had over 100 legs. It HAD to have at least 300 legs, I swore to him. Dad snorted/laughed and walked to my room to kill the monster. Laying in bed at 2:30 am after the centipede incident, I laughed to myself. Just a few hours earlier I had felt so mature and grownup discussing wedding plans with my dad. Then in an instant, I was reverted back to a screaming and deranged child because of a bug. Some things never change, I guess I’ll always be his little girl in one way or another. Oh my God that thing is SCARRRRYY!!!!! I got chills just looking at the picture and then quickly looking away!! EEEEKKKKEEEE!!! I LOVE hearing about your family get togethers! I love that all four of you “girls” get along so well and have such a great time with each other! I am super excited about your new ideas for your wedding and can’t wait to hear ALL of them!! Great post and super scary photo, I’ll be calling you at 3am when I wake up in cold sweats from my nightmares!! Love you!